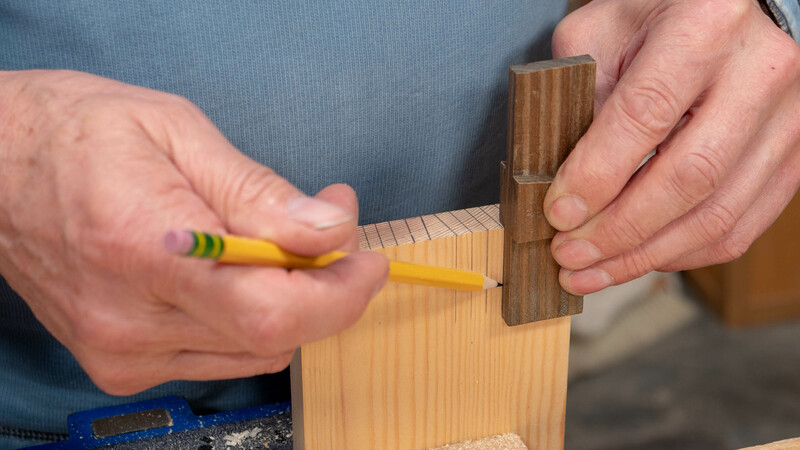 What Level Woodworker Are You? To view a video showing the sawing technique, click here. 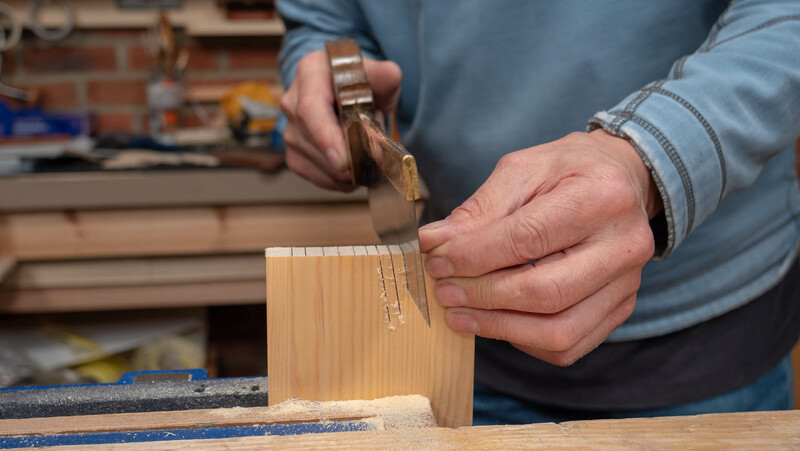 Switch between a dovetail and tenon saw and practice cutting at an angle. 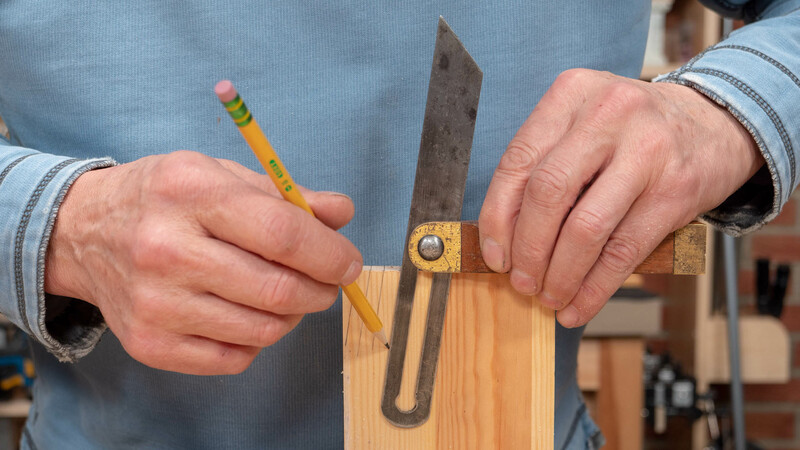 Keeping to the outside of the pencil line, cut adjacent to it. 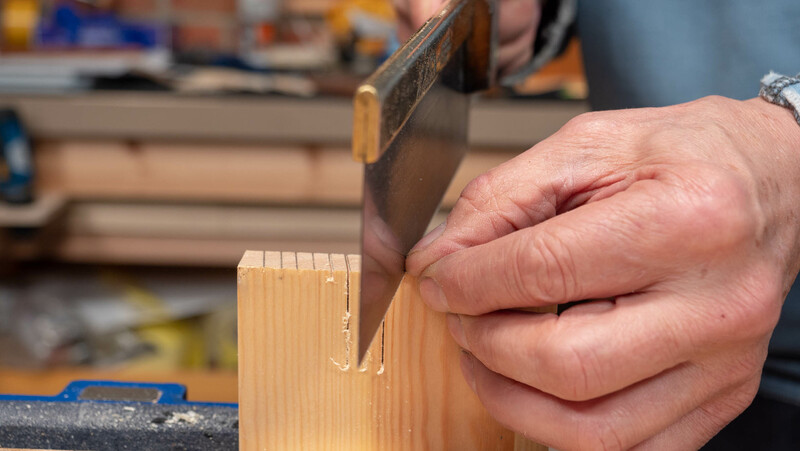 We recommend practising until you have achieved consistent and accurate cuts. 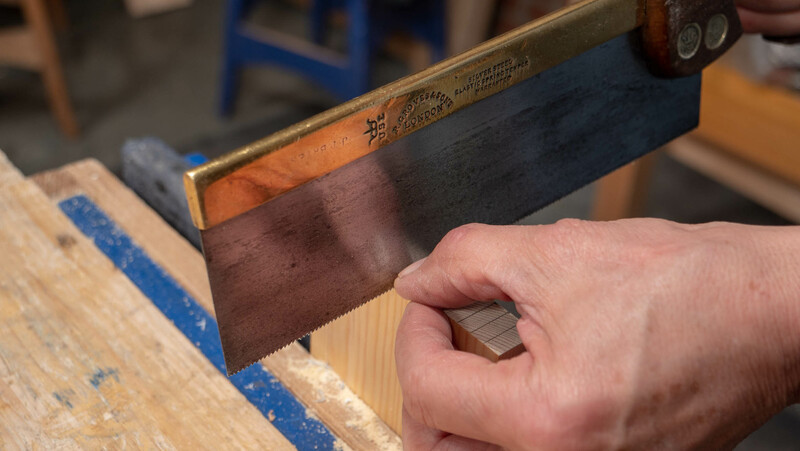 Set the sliding bevel to just over 90°, this doesn’t need to be exact as it’s just for the purpose of practicing your angled cuts. 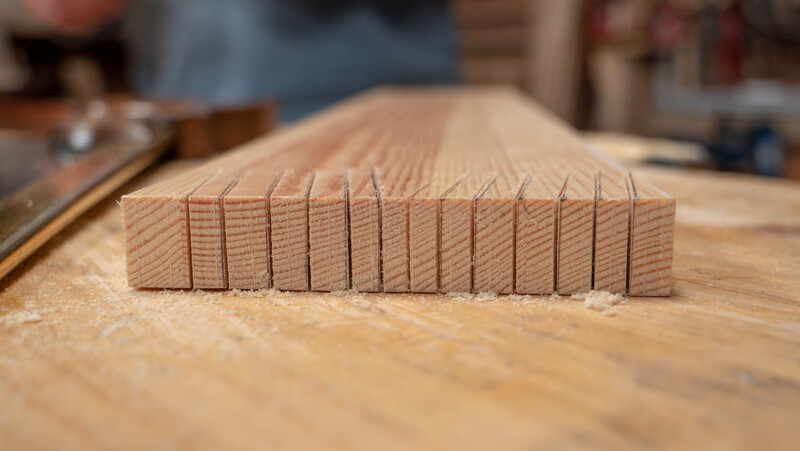 Use the sliding bevel to continue these onto the face of the wood. 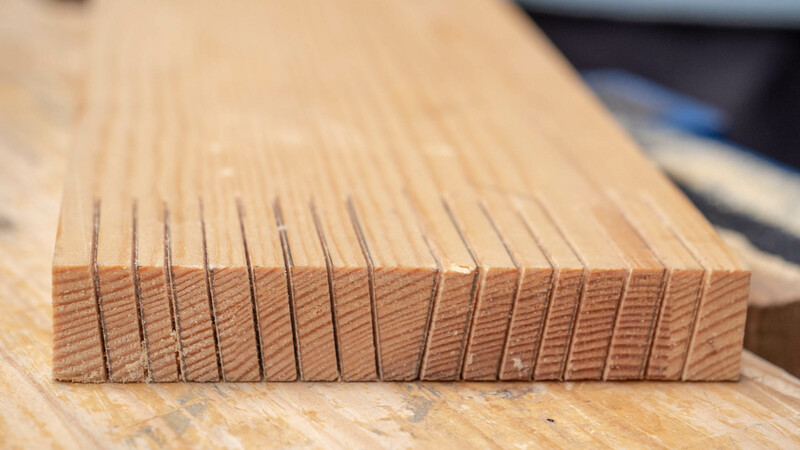 Hold the edge of the wood to minimise vibrations, this will make the cut easier. How about providing a list of essential tools necessary to begin participating in the exercises? 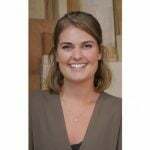 Providing recommendations on what to look for in these tools would also be helpful. 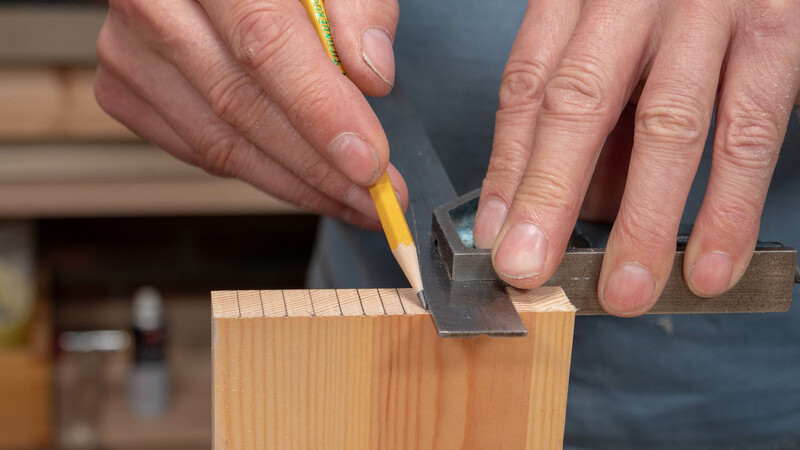 As a novice woodworker who has watched many of your video’s, i am delighted to find you have begun this concept. It will enable me and my son to watch and learn together, not only developing new skills but spend quality time as father and son. Ive been looking for something like this for a long time, somewhere to start. 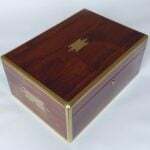 The process of learning woodworking can be daunting as there are many ‘experts’ but with no progressive learning formats Congratulations on providing this free service to the many thousanads of people who should follow. I am really pleased to hear that this is something you are doing with your son. We’d love to see the projects you make together! The instructions say to use the full extent of the saw. Yet when I watch, it seems Paul is only using 4/5 of the saw at most. The saw doesn’t go all the way through the cut? Does that have any practical impact? 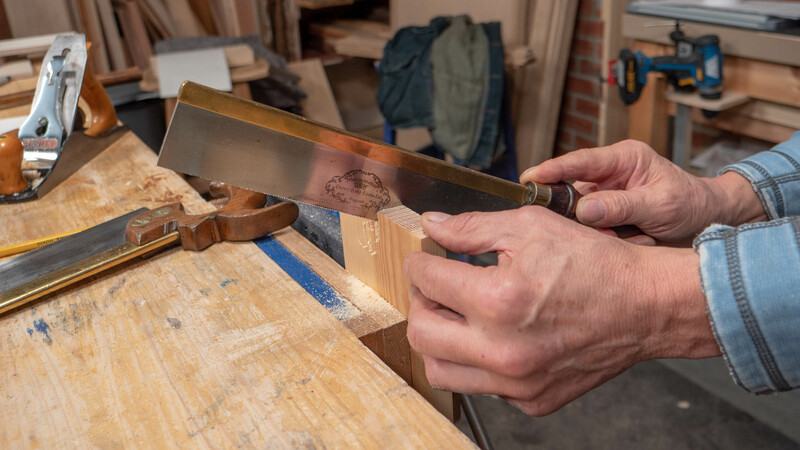 Once the first 4-5 strokes are carefully made, can you go on auto-pilot and will the saw stay on the waste side of the pencil line? Thanks and it is great to have more woodworkers explaining different aspects of the hand tool movement. I’m pleased you are enjoying the site! There is always maintenance in a cut, you can’t simply let the saw flow, you are making minute adjustments the whole time. ⅘ is a full length cut. (Hi Paul) When producing angled vertical cuts ( i.e. 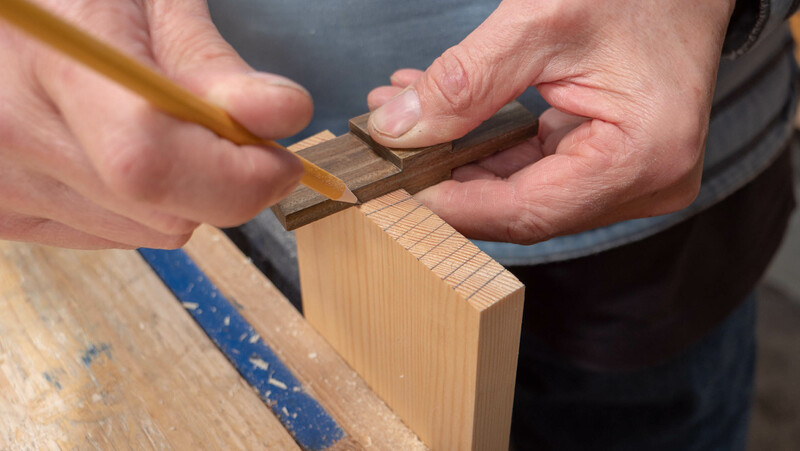 and particularly the tails of dovetails); I was taught to reposition (angle) the workpiece in the vice so you are always effectively cutting the angles vertically. This method does have a simple logic to it; in that, why try to produce a more difficult cut when it’s not absolutely necessary. Just wondered what your philosophy was on angling the workpiece rather than the saw? Paul never recommends doing this as you are not changing your body or mind to do so. Many thanks for getting back to me Izzy, much appreciated. Is there a reason the straight cuts are in vise workpiece face to vise face, then the angled cuts are edge to vise face? The boards were positioned in the vise this way for photography purposes. I understand this may be a little confusing so we will be updating the pictures for this exercise in the future to avoid any confusion. 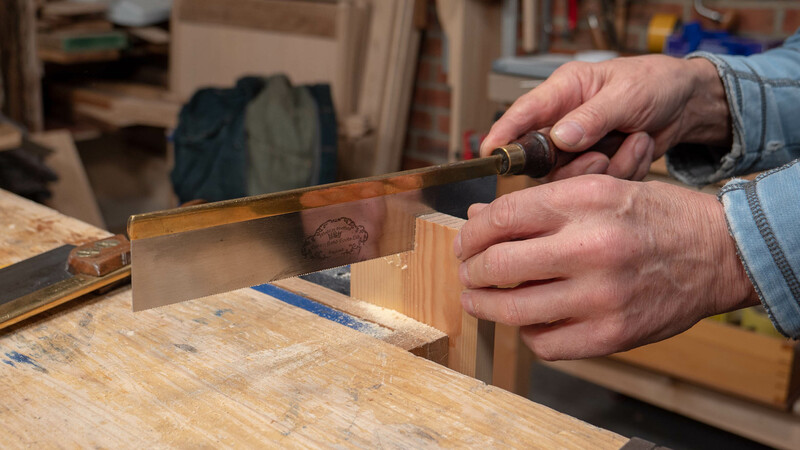 We have now updated the pictures in the guide to better reflect the vise positioning of the wood.